The use of symbolic and metaphoric expressions is common in the literary convention of Jewish prophetism. Ezekiel holds true to this prophetic tradition in his use of symbolic sign-acts, particularly the shepherd metaphor found in chapter 34. Addressing the subject of failed leadership in secular and sacred domains, the author points to Ezekiel s use of symbolism and the shepherd motif to show what society stands to lose under bad leadership and governance. Not only does Ezekiel use this to show the failures of human sheperds but also to give hope to those communities they have failed." 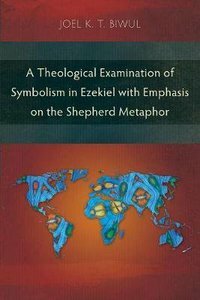 About "A Theological Examination of Symbolism in Ezekiel With Emphasis on the Shepherd Metaphor"